Ms. Kurak focuses her practice in the areas of corporate and business law, including business organizations, mergers and acquisitions, and commercial finance, counseling both established business clients, as well as startup companies in all aspects of federal, state and local law affecting their businesses. 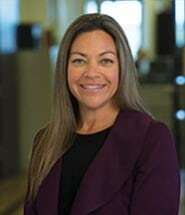 She frequently advises business clients in connection with the acquisition or disposition of stock and/or assets, and has assisted clients in the closing of transactions with purchase prices ranging from several hundred thousand dollars to several hundred million dollars. In addition, Ms. Kurak assists business clients with contract preparation, review and negotiation, and advice pertaining to regulatory matters. A fifth generation native of Washington, D.C., Ms. Kurak now proudly makes her home in Southeast Volusia County.